The game’s only been out for a few days, and there’s no Steam Workshop support yet, but already the race to see who can make the best “real” map in Civilization VI is on. And the early frontrunner is...taxing. 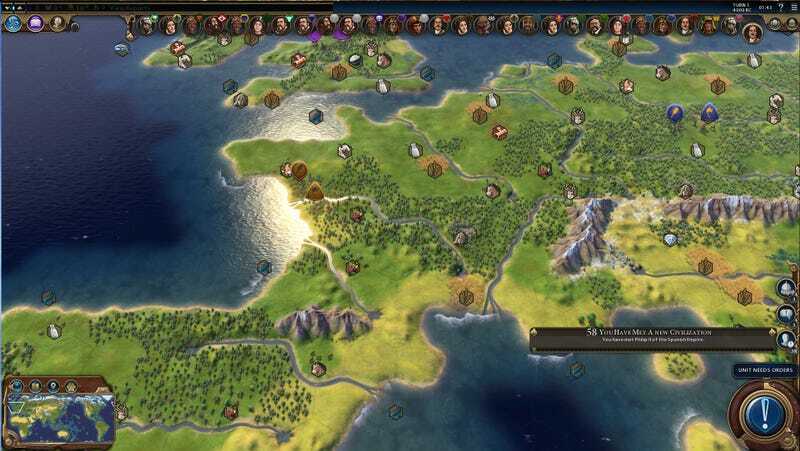 Gedemon over on Civ Fanatics has released an alpha version of an Earth map that blows right past the game’s largest baked-in size, and places an inordinate strain on your PC in doing so. The map has been tested over 500 turns with 32 Civs playing. All that content comes at a price, though: load times between turns are around two minutes early in the game, and four minutes later on. If you want to test it out yourself, you can grab it here.